Stay current and up to date during your next move using mobile apps. There are downloadable apps for everything under the sun, including moving. These highly rated apps are used for house hunting, organizing home inventory, and interior and exterior design. The Realtor.com app provides all information necessary to find the perfect house for the perfect price. It is a home and apartment finder with home searching and buying capabilities. 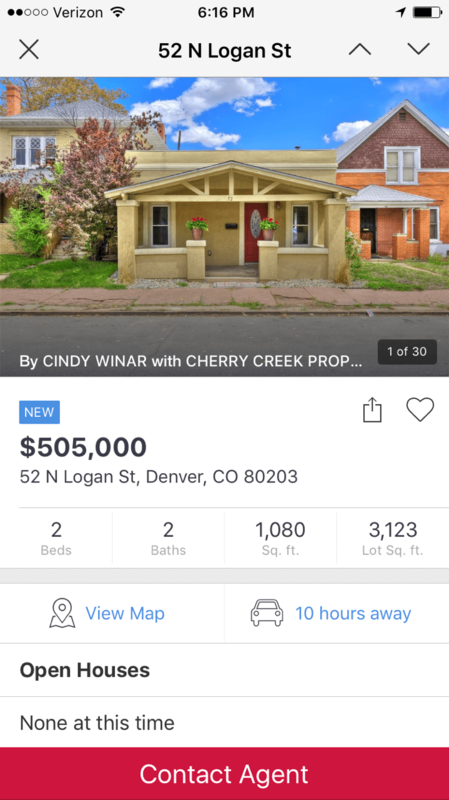 Each listing is accompanied by the price, sales history, property tax, and nearby-school information. There are filter options for those who are looking for a house with particular features, for example, energy efficient homes, pools, and hardwood floors. Quickly search for listings by address, city, zip code, or even use a tool which allows people to draw their own region to search. A 3D map appears when searching for listings in a particular area, revealing all the homes available in that area. Turn on notifications to get alerts about new houses on the market and price reductions. Sortly is a quick and easy way to stay organized on the go. The app features folders to organize inventory by photos, videos and QR labels. To stay organized within the app, use folders to separate items into categories, such as “Home,” “Move,” or “Work”. Each folder can then be divided into subfolders as necessary. To assist with the moving process, Sortly also provides a moving checklist of tasks to do eight weeks out from the move, six weeks out, four weeks out, two weeks out, one week out, and a few days before the move. The app is simply intuitive to use, and includes extra features to track items others have borrowed, PDF and Dropbox exporting options, and a barcode scanner. Sortly is free to download; however, the premium version of the app costs $9.99 to provide QR labels, video, and PDF/Dropbox. Use Houzz Interior Design before building, remodeling, or decorating a home. This app includes a “View in My Room” feature which allows the user to take a picture of the space they are designing and place images of different items throughout the picture in order to plan the design. Houzz Interior Design has options to connect individuals with over 1 million professionals, from contractors to designers to landscapers, and a community of users to seek design advice. Furnishings, accessories, and lighting are available to purchase with Apple Pay, and a gallery of over 11 million photos is available to inspire the next home project.